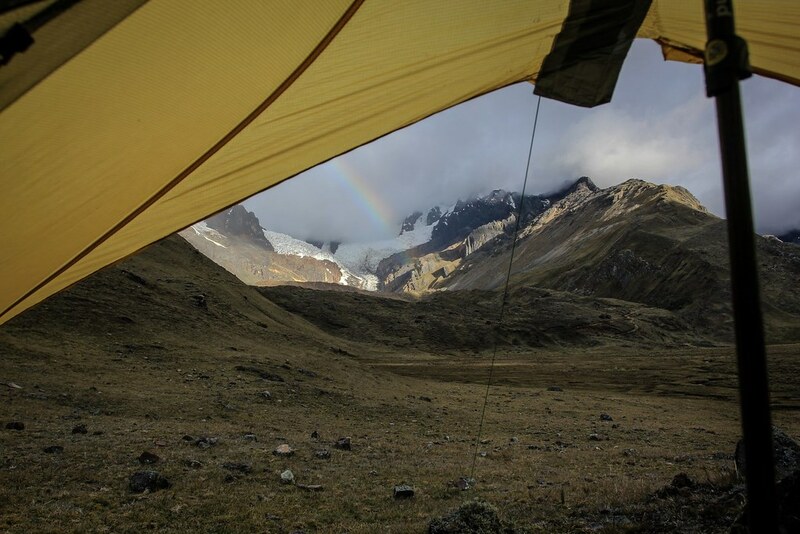 Guidebooks basically assume that backpackers will hike in the Cordillera Blanca and nearby Cordillera Huayhuash during the dry season – May to October, which corresponds to winter in the southern hemisphere. Information about hiking during the rest of the year is difficult to find. Rick DeLong from BackpackingLight.com reports a hiking trip at the beginning of the rainiest period, which peaks in February. Initially apprehensive about weather conditions in this high and distant land, they found the weather to be easily manageable with wise gear choices. During the dry season, one will find far more hikers on trails, which are basically deserted during the rest of the year. Essentially, one can hike in the Cordillera Blanca at any time of year with relatively minor gear adjustments. There is no such thing as a traditional “winter” where the snowline drops dramatically and the higher areas become impassable. Most climbs are done during the dry season – May to October, with the best conditions being from mid-June to end of July, with lesser winds and stable snow packs. The lower 5000m peaks are climbed year round, but the higher 6000m and more technical peaks only during peak, dry season. Some books or websites will promise you weeklong clear skies, interupted by 2-day stormy breaks, but everybody knows the climate is on a drift. Here in the Cordillera Blanca and Huayhuash we experience it firsthand, with more unstable weather patterns then we use to have. Rainbow after the rain. Bivaouc on the Alpamayo Circuit. Huascaran National Park. Peru.